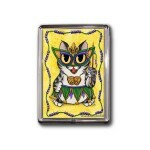 Wild Mardi Gras Cat - Bookmark - A black cat in a Mardi Gras mask from New Orleans ready for t..
Lil Mardi Gras Cat -Note Card- A chubby little silver gray tabby cat dressed for New Orleans Mardi G..
Lil Mardi Gras Cat - Keychain - A chubby little silver gray tabby cat dressed for New Orleans Mardi ..
Lil Mardi Gras Cat - Magnet - A chubby little silver gray tabby cat dressed for New Orleans Mardi Gr..
Lil Mardi Gras Cat - Ring - A chubby little silver gray tabby cat dressed for New Orleans Mard..
Lil Mardi Gras Cat - Bookmark - A chubby little silver gray tabby cat dressed for New Orleans Mardi Gras! She's wearing her beads, a colorful jester skirt and of course has her Fat Tuesday mask with the Fleur de lis! 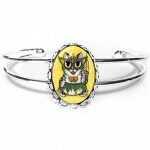 She's ready to Party! Wild Mardi Gras Cat - Bookmark - A black cat in a Mardi Gras mask from New Orleans ready for the parades & parties on fat Tuesday!.. Lil Mardi Gras Cat -Note Card- A chubby little silver gray tabby cat dressed for New Orleans Mardi Gras! 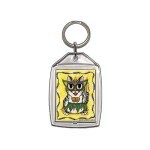 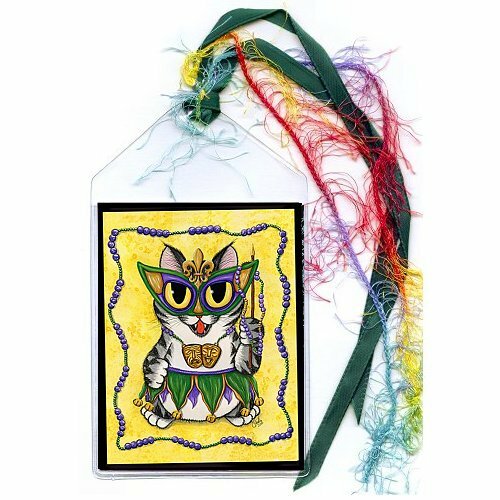 She's wearing her beads, a colorful jester sk..
Lil Mardi Gras Cat - Keychain - A chubby little silver gray tabby cat dressed for New Orleans Mardi Gras! She's wearing her beads, a colorful jester s..
Lil Mardi Gras Cat - Magnet - A chubby little silver gray tabby cat dressed for New Orleans Mardi Gras! 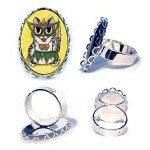 She's wearing her beads, a colorful jester ski..
Lil Mardi Gras Cat - Ring - A chubby little silver gray tabby cat dressed for New Orleans Mardi Gras! 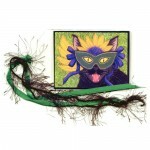 She's wearing her beads, a colorful jester..
Lil Mardi Gras Cat - Cuffed Bracelet - A chubby little silver gray tabby cat dressed for New Orleans Mardi Gras! 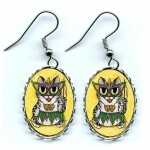 She's wearing her beads, a colorful j..
Lil Mardi Gras Cat - Earrings - A chubby little silver gray tabby cat dressed for New Orleans Mardi Gras! 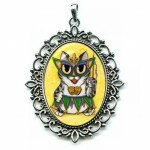 She's wearing her beads, a colorful jester s..
Lil Mardi Gras Cat - Cameo Necklace - A chubby little silver gray tabby cat dressed for New Orleans Mardi Gras! 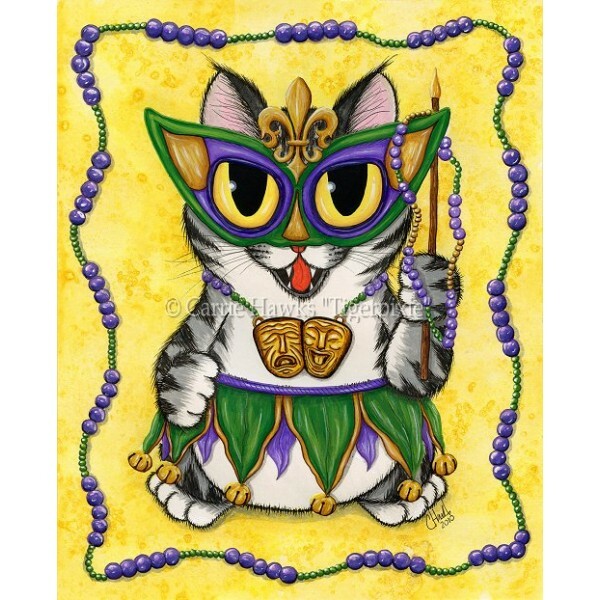 She's wearing her beads, a color..
Lil Mardi Gras Cat - Prints - A chubby little silver gray tabby cat dressed for New Orleans Mardi Gras! 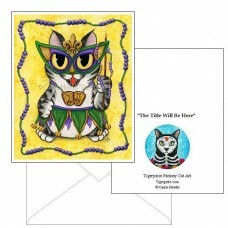 She's wearing her beads, a colorful jester ski..
Lil Mardi Gras Cat - Limited Edition Canvas Prints - A chubby little silver gray tabby cat dressed for New Orleans Mardi Gras! 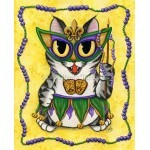 She's wearing her beads..